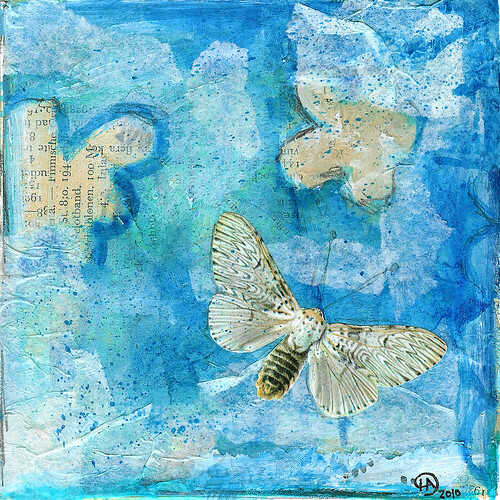 Moth-eaten clouds, original art Collage by iHanna, May 2010. Sold. Available. I’m continuing with square collages. Little originals created with my favorite materials right now; pieces of wrinkled papers, acrylic paint, pencil and charcoal pen. They are the same size as the previous two owl collages; 13×13 centimeters (5×5″), the perfect fit inside the mat board of a Ribba-frame from IKEA. 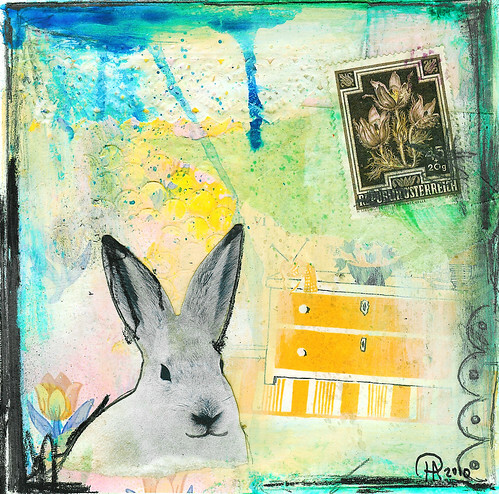 White Smiling Bunny, original art collage. Sold. The moth, that little insect so closely related to the butterfly, is not really a friend of mine. I don’t want to be near one and big night time visitors are a bit scary. But this one might be a friendly kind because he is eating the clouds away, filling the gaps of the sky with sunshine. And in one of our rooms, just as I was putting down the knitting for a while, a smiling white bunny jumped in. Who would’ve thought? He didn’t even know Alice, so I don’t think it’s that rabbit. Just like the moth he just appeared and asked to come into my world of collages… I said; hey there, welcome any time little one! …another owl rolling in, this one is trying to find balance in a world set in motion. Aren’t we all? Owl in Balance, original art collage. Sold. Hmm… Is he doing pilates??? Well, Owl in Balance must be one of my favorite collages so far. I think it’s not just the name, it really has balance to it. I like the brown with the orange, and owlies proud pink breast feathers. And I like the spaciousness of this collage, there is some well needed breathing room. Top of the world, original art collage available. You can see the difference, right? Such a mess Hanna! It reminds me of one of my most jam-packed journal pages. It is my style, more so than the owl perhaps, but I’m not sure I would hang it on a wall. Just taking one step back it becomes a blur to me. The Top of the World collage is about life and our journey, so maybe it should be more colorful and messy, just as most of our lives are, right? To me it is also very Swedish, with its Swedish fjäll views and words. The collage scan are also posted at my flickr set 2010 Collages where two people have added this collage as a ★-favorite! Druga wrote in her comment; wow… I would love to learn how to make something this complex and deep. I love the whole set. Here I was, thinking it was messy and ugly, and then I’m told it’s deep and complex. I can’t help but to appreciate that, and once again it is reinforced that we all have different perspective and taste. Read: don’t throw away your messy artwork and trials, someone else might like it and that might just make you appreciate it a bit more too… Lesson learned and noted, again. I listed Top of the World for sale as a test, because there might be someone who will like it enough for that too, but I’m not sure. It’s not really important, because I’m already making other collages that I’m really falling in love with… hehe. I guess I say that every time, but it is true. It’s the process that I love, and to me that is what is most important. oh, yes yes! it’s a bit like there are things we don’t really like about ourselves – our physical appearance, maybe, or something about our personality – that we are surprised to find others admire. a great reminder that we are all kinds of wonderful. love these collages, including the last one! I’m with you on moths being a bit scary – especially big ones flying around at night! Love, love, love the owl collage. Very pretty collages…I love the process of collaging…sort of moving in and out of planning the layout and just randomness! Linda, yes, that is a good way to describe the collage process! awesome collages! i especially dig the owl one. Thank you Carol Ann for buying the collage, now I know it will get a good home. Feel free to send me a photo of where you frame and hang it, I would love to see how it looks on your wall! I shipped Friday so you should get it this week. Thanks! Katilady, thank you sweetie, I dig the owl one too! 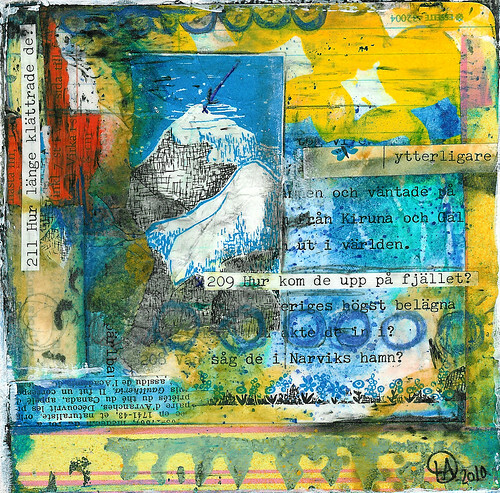 Love your collages – especially love the variety of papers used. 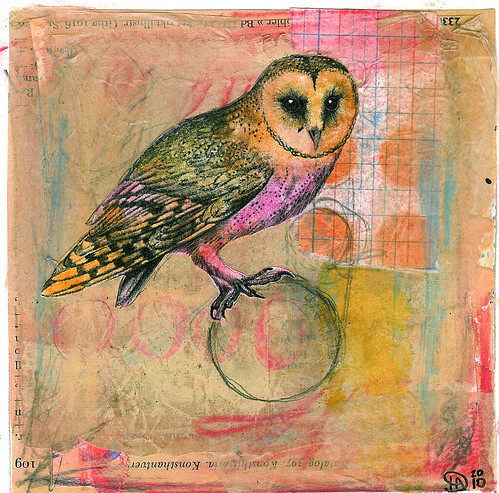 LOVE that Owl collage that sold (congrats)! Oh my! I am loving your little collages! Your color choices are so inline with my color sense. :) That owl is great and I love the Moth too. I love that collage, too. Pretty nice post. I just stumbled upon your blog and wanted to say that I have really enjoyed browsing your blog posts. In any case I?ll be subscribing to your feed and I hope you write again soon! Hanna, I want this collage. I’ve seen it again, and I want it. It shows as 11.00, and I will wait to hear from you to see if I can buy it with a check instead of with paypal? Paypal might be okay, too. I think this is very lovely! Chris, it is so fun to see your way though the months passed, hehe, and so cool that you leave comments here and there for me to know where you went and what you read! Thanks! The mountain collage is available in my Etsy shop now, thanks for asking! Please pay with paypal, checks are a hassle to send overseas. Sorry.